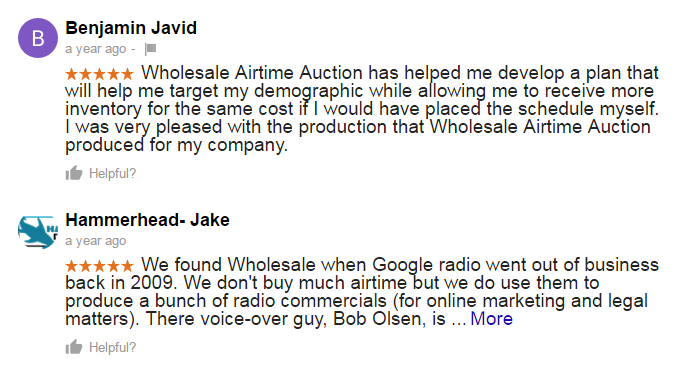 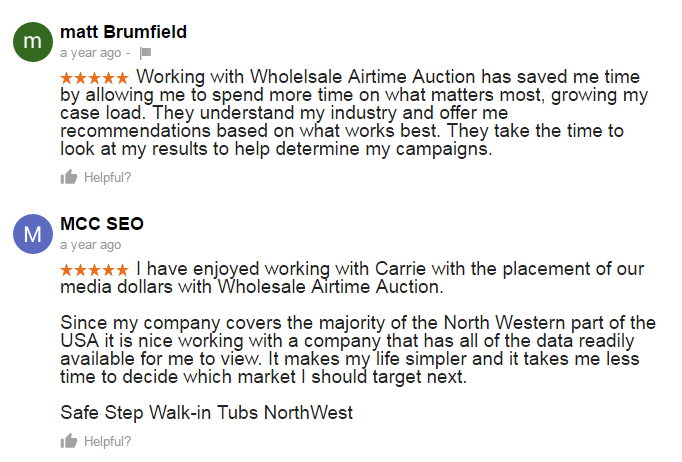 At Wholesale Airtime Auction, we take reviews and our reputation very seriously. 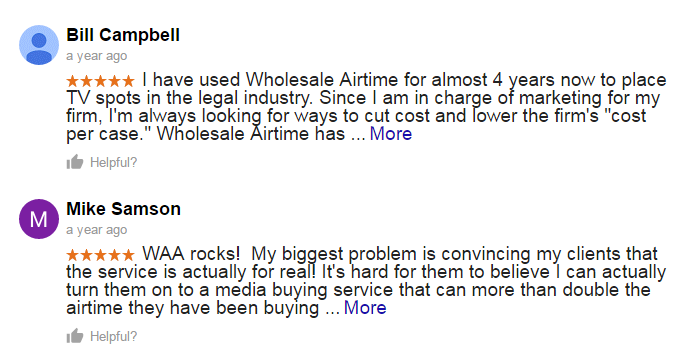 Which is why we treat the delivery of our client's airtime as the #1 most important part of our job. 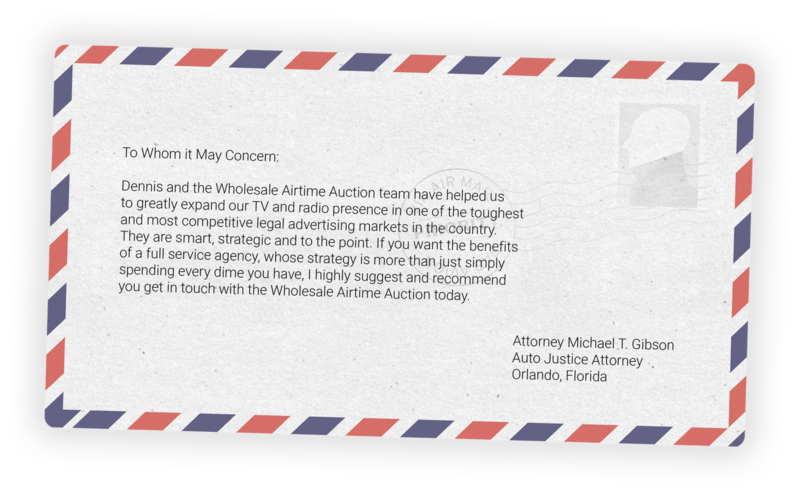 In fact, we take this so seriously that it sometimes causes us to have to file a lawsuit against a station. 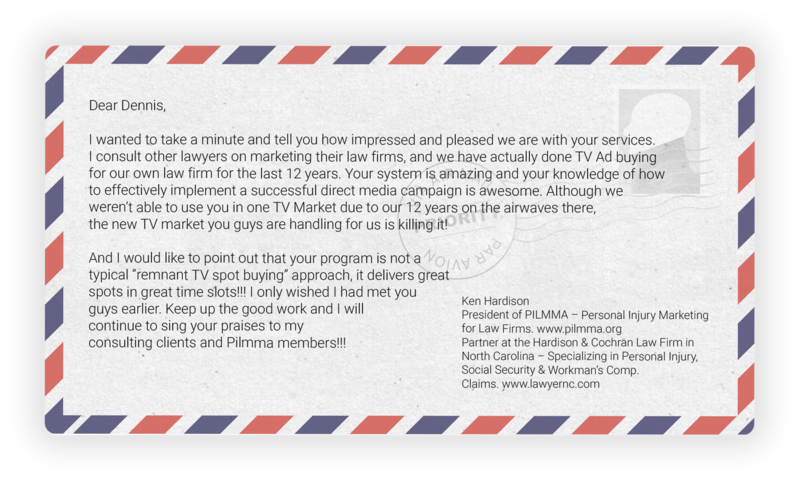 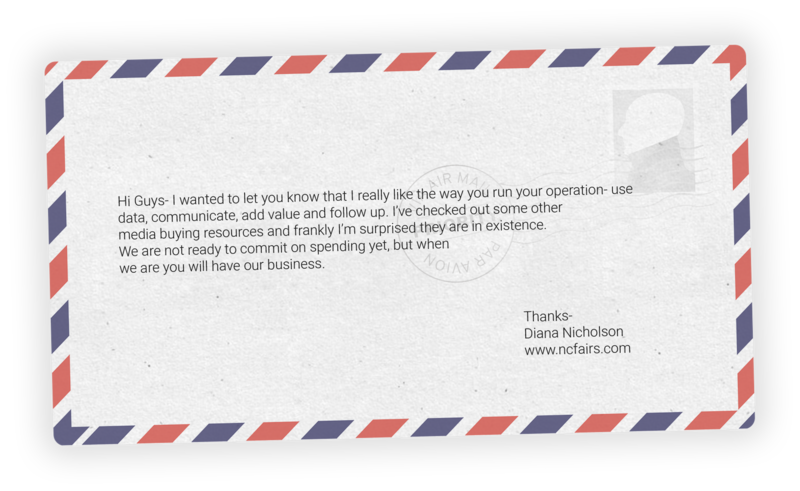 Case in point: please review this attached letter from a great non-profit client of ours. 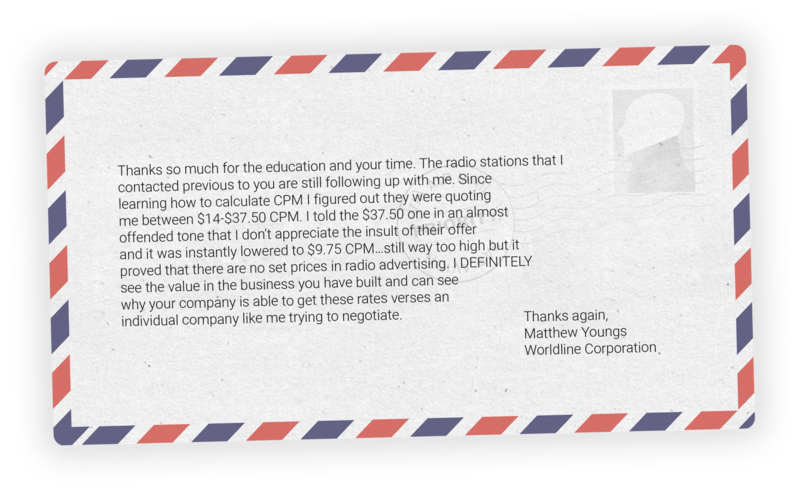 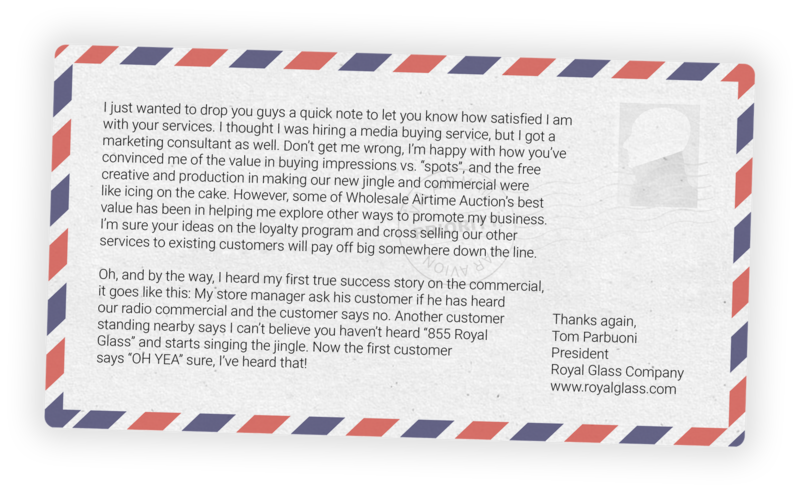 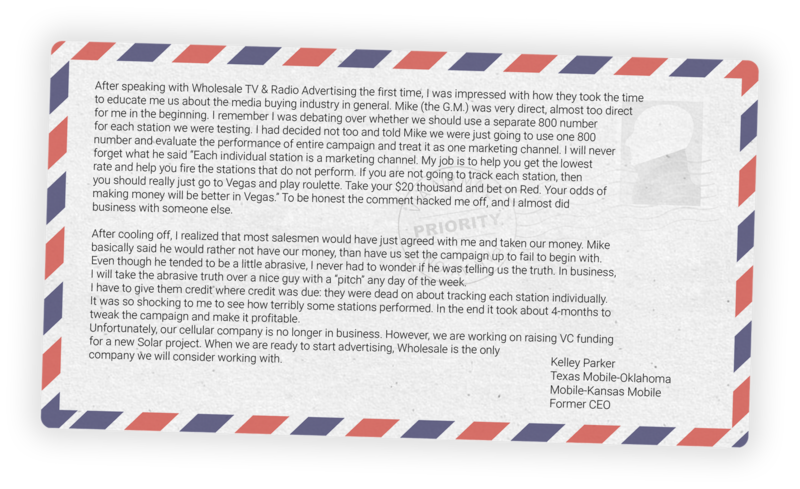 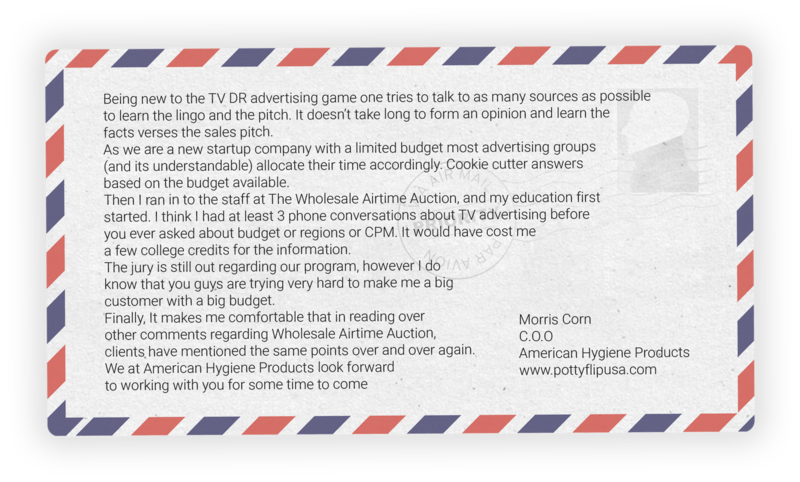 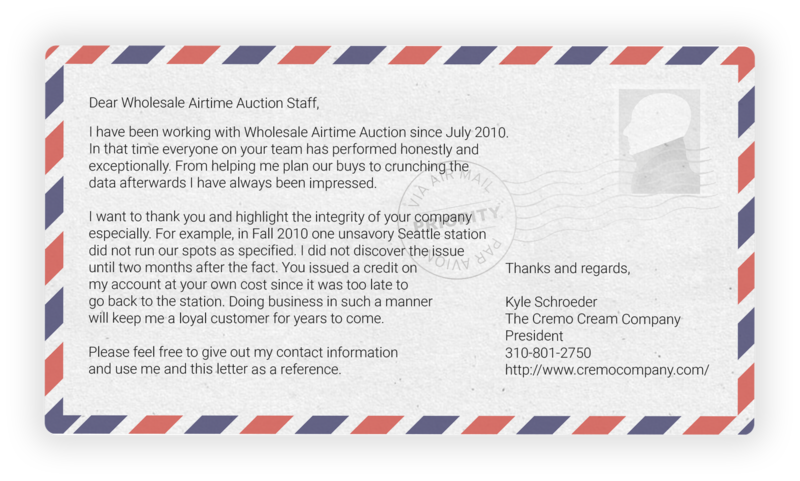 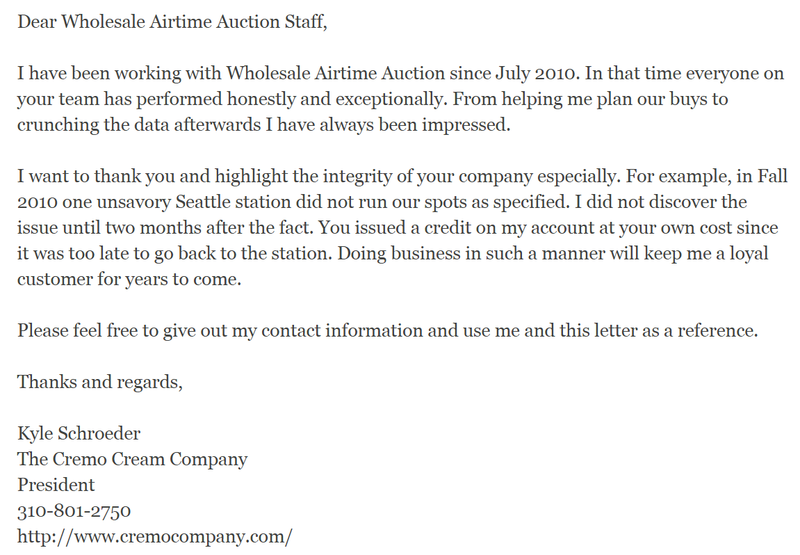 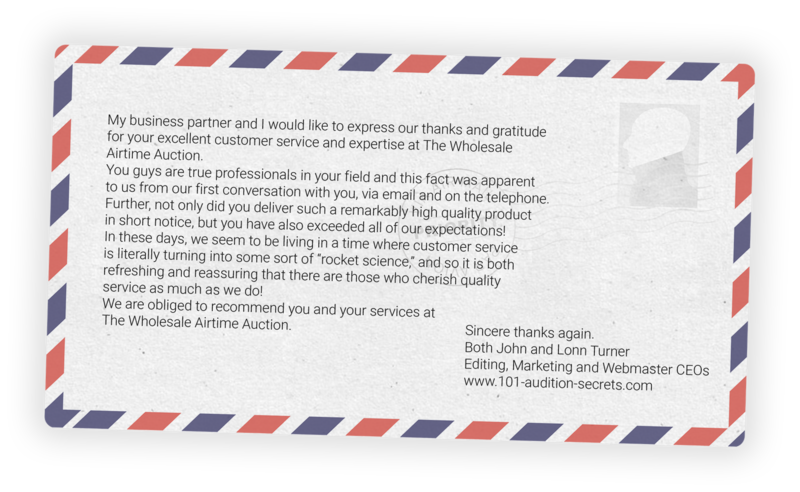 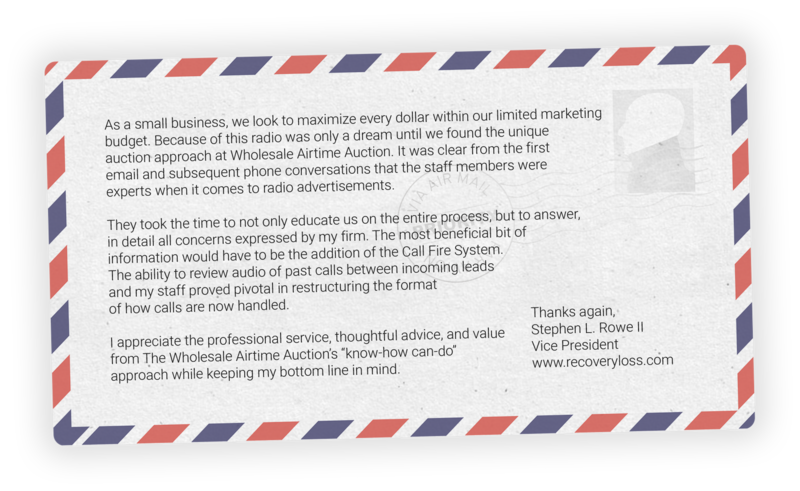 In this letter they discussed how we dealt with a station who tried to scam them out of a portion of their commercials: Station-Scam-Wholesale Airtime Auction reviews-Letter of Reference. 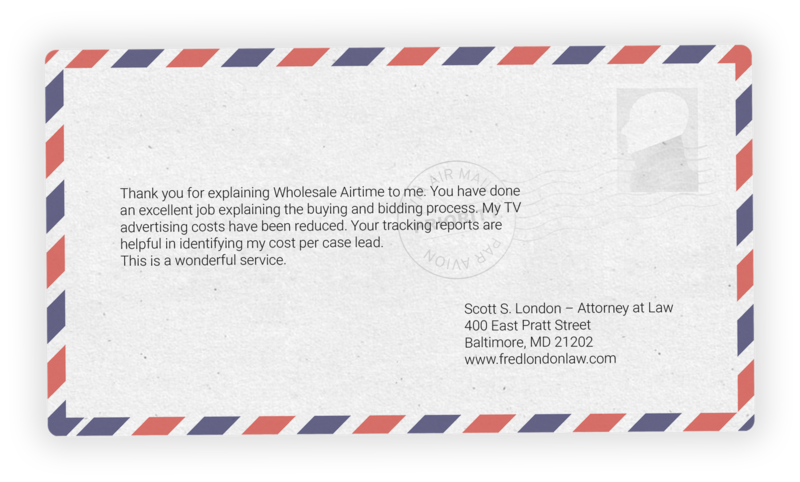 You can also review a similar letter (we pasted it and the others from email) of reference below, which was sent to us by a client in 2010.